Another Thursday, another NFL gambling breakdown. This week the Dallas Cowboys host the Jacksonville Jaguars, and are valued as three point home underdogs. The over/under is set at the low total of just 40.5 points, which makes sense given the two offenses involved in this match-up. Let's discuss these teams and this line a bit further. Coming off a disappointing road loss in overtime last Sunday, the Cowboys host the 3-2 Jacksonville Jaguars this week. Of course the Jags are built upon a dominant defense, particularly in their secondary, but the Cowboys defense should match up well with Jacksonville's offense on the other side. Dak Prescott and the Cowboys offense have been bad this season, and it's tough to imagine that changing against the stingy Jags defense this week. The Cowboys wide outs seem to have no chance against Jalen Ramsey and AJ Bouye on paper, and their offensive line will have their hands full with a tough front seven as well. Despite the loss a week ago, the Cowboys did cover the 3.5 spread, and improved to 2-3 against the spread on the season. The Jaguars are a weird team to figure out, and it all starts with their quarterback. Blake Bortles has been awful on the road this season, but at the same time he's been one of the league's better quarterbacks when playing at home. At home, the Jags dominated the Patriots for four quarters. On the road, they were dismantled by the 5-0 Chiefs a week ago. 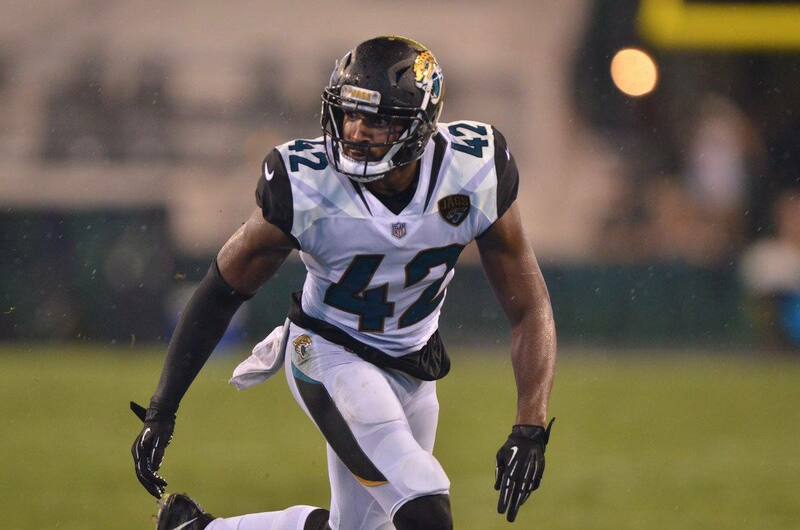 We know that the Jaguars have a lot of talent on defense, and have two very talented running backs they like to build their offense on. Bortles is mostly an average quarterback, but can have some extreme swings in his play - both for the better and for the worse - at times. The Jags are a real contender in the AFC, and are deservingly favored against the lesser Cowboys this week. The Jaguars are 5-2 against the spread their last 7 games. The score total has gone under in 4 of the Jaguars last 6 games. The score total has gone under in 8 of the Cowboys last 9 games. The Cowboys are 2-4 against the spread their last 6 games at home. I try my best to be an optimist, but I just don't see this one ending well for Dallas, guys. A receiving corps that has issues beating even average cornerbacks in coverage should be dominated by Ramsey and Bouye on Sunday, and Prescott may face consistent pressure in his face from Calais Campbell and company. This should be a close, low scoring game for 3.5 quarters, before the Jaguars grind the clock out and extend the lead to about 10 points in victory. I like the Jaguars -3 this week. Is Jason Garrett Losing the Cowboys Locker Room?